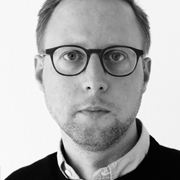 Oliver is Managing Partner at FORB (Switzerland), founded by him and Roman Burch, a BSCL fellow. Prior to this he was Marketing Director at Notenstein Private Bank and Wegelin & Co. Private Bankers in Switzerland. His aim is to „disturb“ in a positive way. His first step in this direction was as a Communications Advisor for the Null Stern Hotel, where he provided advisory services for developing a new business model by breaking established conventions. Today he implements this mind changing experience in numerous works. Oliver has a Bachelor of Science in Business Administration from the St Gallen University of Applied Science in Switzerland, where he studied communication design and strategic management. He began his career as a journalist and produced a variety of radio features and newspaper articles for a number of news outlets. His last engagement was in 2010 in New York City as a financial and business Correspondent for the Financial Times Deutschland and the Neue Zürcher Zeitung Am Sonntag before he left journalism for marketing and corporate communication.